I nominate the member-state Apepistan for the first Presidency of the Global Federation! I support Apepistan as well! I support Apepistan's Presidential bid! I honestly didn't expect so much support, nor a nomination. If the Global Federation wishes so, I accept this position, and will try to do my duty the best I can. 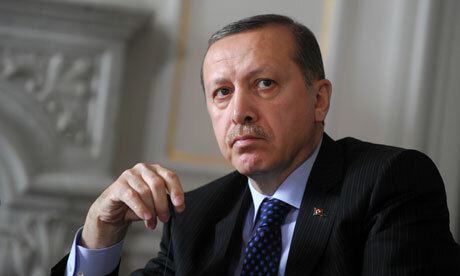 Our representative will be Lord Arif Erdogan. @Lockdownn wrote: I support Apepistan's Presidential bid! Will there be any more nominations? I guess there is no need for a vote if Apepistan will be running unopposed. Since he is running unopposed, we can name Apepistan the first President of the Global Federation! Congratulations, I think you're the best man for the job! Also, Apepistan, don't forget that one of the President's duties is to appoint one of our three judges. It looks like Lockdownn and Ebsotz will be our other two. As president I humbly request the Global Federation's governing body to bring Former Emperor Yorguschmich of Lockdownn to international court to face justice, and to start a case against him. I hereby nominate Apepistan for the Presidency. Nominations should end in 24 hours. Alright, let us get to business. I am officially in favor of the court case. Minister Tutimente wrote: Please, let's not jump the gun on this here. He is a psychologically sick man, and is being treated with the best care we have. We do not know if these were his true intentions and imprisoning him will only make him worse. I hope I am legally allowed to defend myself here, it is after all, a matter in which needs to be addressed immediately before any damage is done. Due to lack of opposition, Apepistan holds the presidency. Sir Kaspar Obradovic wrote: Hey, how about our nation can take him in? We have a world class medical system, and a new brain insanity medication we call MEG138. This slurs the brain for a short while. We can take him in, take immense care of him, and return him to you. But keep this in mind: If Miching is: Unresponsive, aggressive, or life-threatning, we will put him on court. We can take care of him easily. We have what it takes. Minister Tutimente wrote: My superiors wholeheartedly disagree with this idea. His care must remain in Lockdownn thus to ensure proper measures are taken after-words. If the nations of the Global Federation disagree with a court case, so be it. However, the government of Lockdownn should continously inform the involved nations about the state of Miching, and I also propose that not guards, but overwatching representative officers would be present at his location.